By: Chris Williams, senior manager, customer satisfaction group, Motoman Robotics division, Yaskawa America Inc.
Robotic automation is a vital piece of the puzzle when it comes to improving productivity in a demanding manufacturing environment. From metal forming and fabricating to welding and metal cutting, this has been the case for years. More recently, the uptick in customer demand for greater product variety is reaffirming this fact, driving many factories – especially for small and medium-sized enterprises – toward mass customization and the subsequent use of smart methods and factory solutions to increase manufacturing flexibility. Moreover, companies are realizing the benefits associated with robotic automation. From higher efficiency to lower production costs, robots are helping companies adapt to changing demands and providing a competitive advantage. However, creating an achievable plan and accommodating the time to implement new technologies can add a different set of challenges. Performing a grease analysis should help maintain proper iron levels in the grease, helping prevent costly repairs. In the past, the phrase, “temporary factory shutdown” may have induced panic throughout an organization. But, in today’s manufacturing landscape, these words are being heard more frequently. In fact, “holiday shutdowns” or “factory fortnights” have become annual events at many factories around the world. These scheduled breaks are designated production facility closures where decision makers employ specialized skeleton crews to perform robot installations, routine maintenance and process improvements for greater production output. Whether an annual event or one-time occurrence, achieving the ideal outcome takes planning, coordination and diligence, predominantly from those responsible for engineering, procurement, facility management, equipment maintenance and project management. While every employee of an organization is responsible to do their part to complete a successful shutdown, there are several guidelines decision makers should follow before and during the process, especially where robot maintenance and upgrades are concerned. Designate a leader: Before formulating a detailed plan, an ultimate decision maker should be appointed. From organizing to execution, this person manages the full shutdown process. Moreover, in the event the scope of the project should veer off course, this designated leader can step in to make tough decisions related to improvements, keeping to the budget and overall plan as much as possible. Robot training, offered by robotic OEMs, provides hands-on robot experience through a comprehensive curriculum for basic and advanced programming, maintenance and more. An ideal training facility should have dozens of course to choose from and should also offer accreditation from the International Association for Continuing Education and Training. 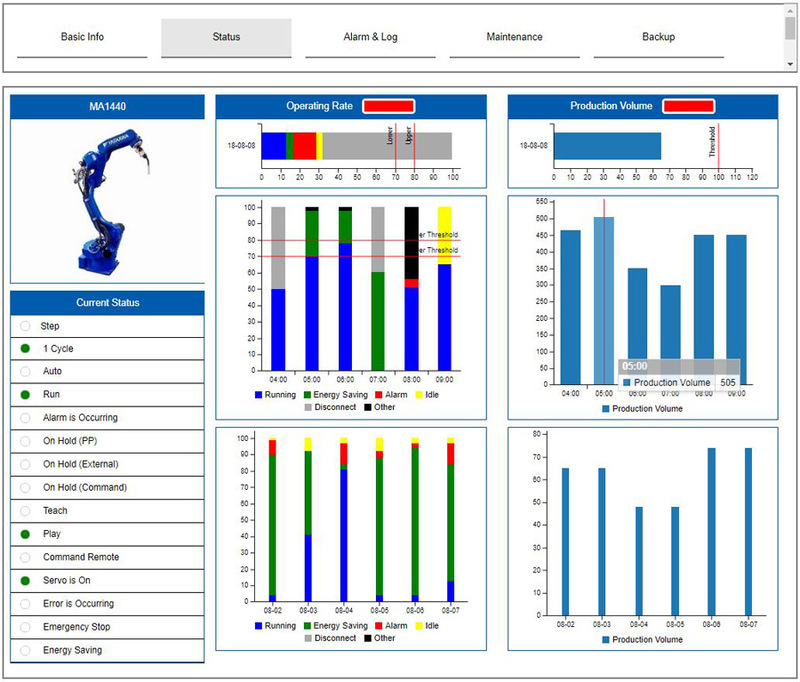 Web-based robot maintenance systems with easy-to-use graphical interfaces can help in-house technicians quickly tackle repairs with minimal training and zero guesswork, optimizing robot uptime. An interactive troubleshooting tool of this nature will be available on a computer or smartphone, and it should offer step-by-step instructions tailored to specific robot and controller models. Develop and communicate a clear plan: As mentioned, preparing for this type of event is critical, and meticulously following a detailed plan cannot be stressed enough. Very specific goals with achievable action steps for the work to be completed should be in place and communicated well before the shutdown date. This plan should list the projects to be done, lay out who is responsible for each task and give a detailed logistical workflow, especially for things like robot equipment removal or installation. The robot controller should be an item included in any maintenance plan. Parts such as the CPU battery, air filter and fan units need to be replaced periodically. Keep in mind, if there are any external technicians or contractors required to complete maintenance tasks during this time, be sure to schedule these professionals approximately six to eight months in advance. To avoid lead times altogether for parts delivery, some manufacturers prefer to stock their own spare parts, heavily relying on the historical data provided through efficient software platforms that monitor, accumulate and visually deliver operational data in real-time for networked production environments. Tools of this nature can help inform when parts may be necessary in the future. This is especially true for 24/7 operations that may not be able to completely close for a scheduled shutdown. Any staff that will be responsible for scheduled maintenance may benefit from hands-on training through the robot OEM. Either way, spare parts planning and ordering months in advance of a shutdown is advised, as it can greatly reduce downtime that may unexpectedly arise during the scheduled maintenance period. In preparation for robot upgrades and maintenance, a planning session with a regional technical manager from your robot OEM can provide guidance in executing a successful inventory strategy. 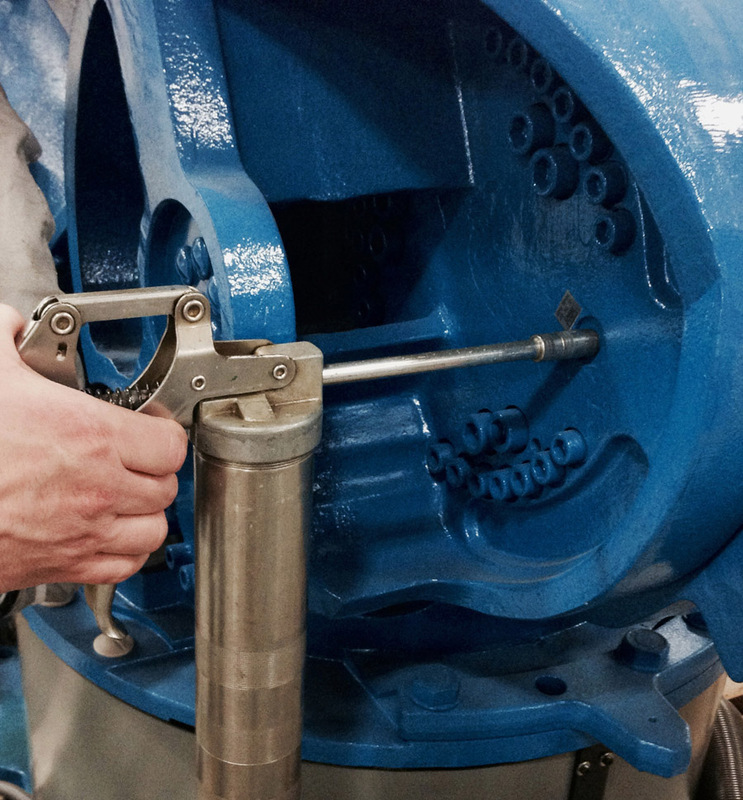 Perform a grease analysis: Because well-lubricated robot axes help to control friction, vibration and heat, manufacturers should consistently check and re-grease each axis, as needed, with the recommended grease throughout the year. Doing this should help maintain proper iron levels in the grease, helping to prevent costly repairs. To ensure that the iron levels within the grease are at a safe operating range, a routine grease analysis for each axis is advised. While some buildup of iron naturally happens over time, a spike in the iron content of one or more axes can hint that there is a potential problem with the drive. Performing this simple activity prior to a temporary shutdown can help decision makers order spare parts and plan for proper countermeasures. Once the project is complete and end goals are reached, it is time to start planning for the future. Managers and decision makers should make note of the procedures that worked and those that did not. The lessons learned along the way will help prepare for the next scheduled shutdown. Regardless of the revelations, each company should be proactive in managing risks and taking care of robot maintenance. Managing the life cycle of a robot helps ensure maximum robot performance and return on investment, but most likely, it will take a team effort to reach the ideal outcome. From robot maintenance to programming optimization, robot companies should have support services available to help companies smoothly navigate through the robotic automation process. Some manufacturers prefer to stock their own spare parts, and they rely on historical data provided through monitoring tools to inform them of what parts may be needed in the future. From boosting competitive edge to saving money on overhead expenses, much can be gained from these designated closures where decision makers employ specialized skeleton crews to perform robot installations, routine maintenance and process improvement for greater production output. As some say, “timing is everything,” and the same goes for choosing the best time to schedule a factory shutdown. While many companies schedule these yearly maintenance days during the holiday season when production workers and managers are already absent from the factory floor, other companies plan events for the spring or summer months. Either way, benefits can be made from operation-wide shutdowns, and they should be given considerable thoughts.